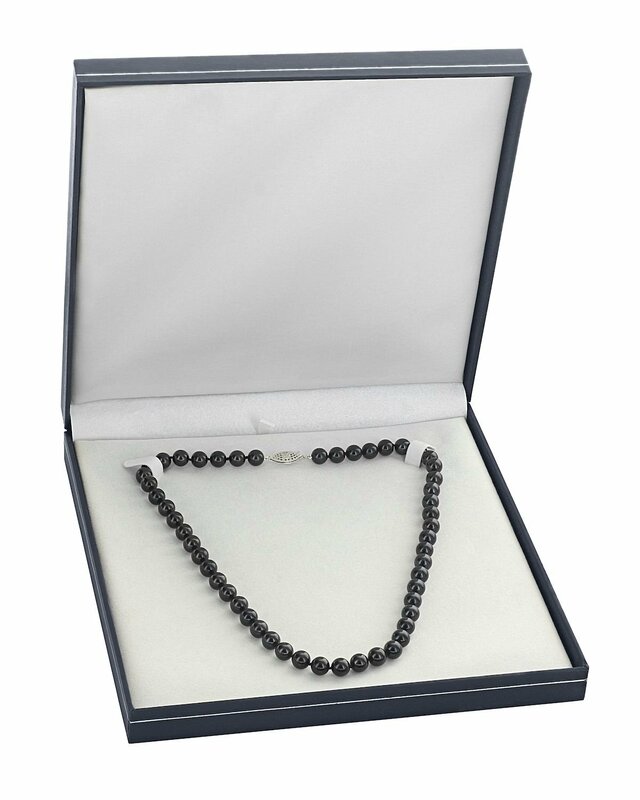 This beautiful Akoya pearl necklace ranges between 6.5-7.0mm in size and consists of all beautiful and lustrous pearls in AAA quality. All pearls in this necklace are round and are strung with silk thread and double-knotted between each pearl. This necklace comes standard with a beautiful 14K gold clasp, though premium clasps can be selected for an additional cost. 24 inch size is perfect in every way. They are easy to put on over my head and shine in all lights as really good pearls should. A 75th Birthday present from my husband of 52+ years. The necklace is lovely, tho just a little bit twisted. 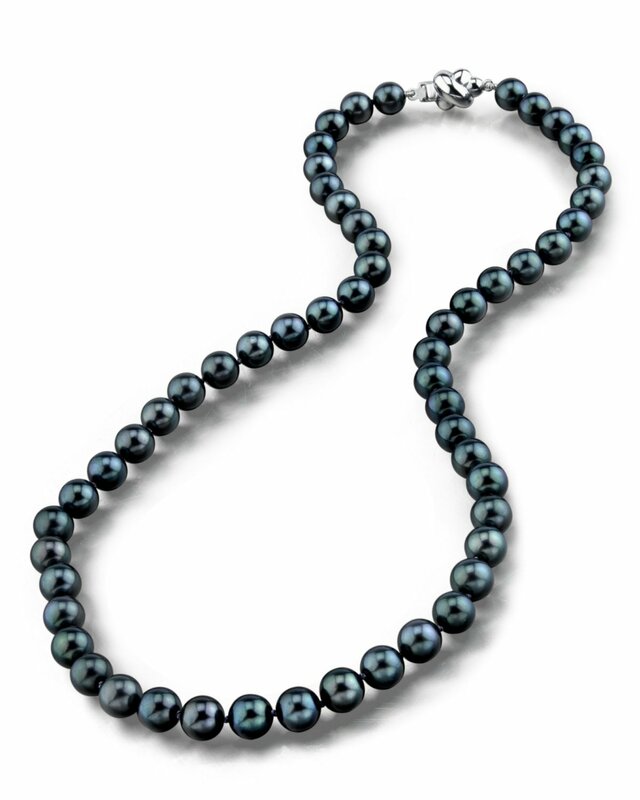 Pearls have a beautiful navy blue lustre. Loved the pearls and thesuper quick delivery,but the special clasp I ordered broke right away and had to be replaced.still very satisfied though.